Home » Reviews » The Cult Of Mythra Rises! The Cult Of Mythra Rises! 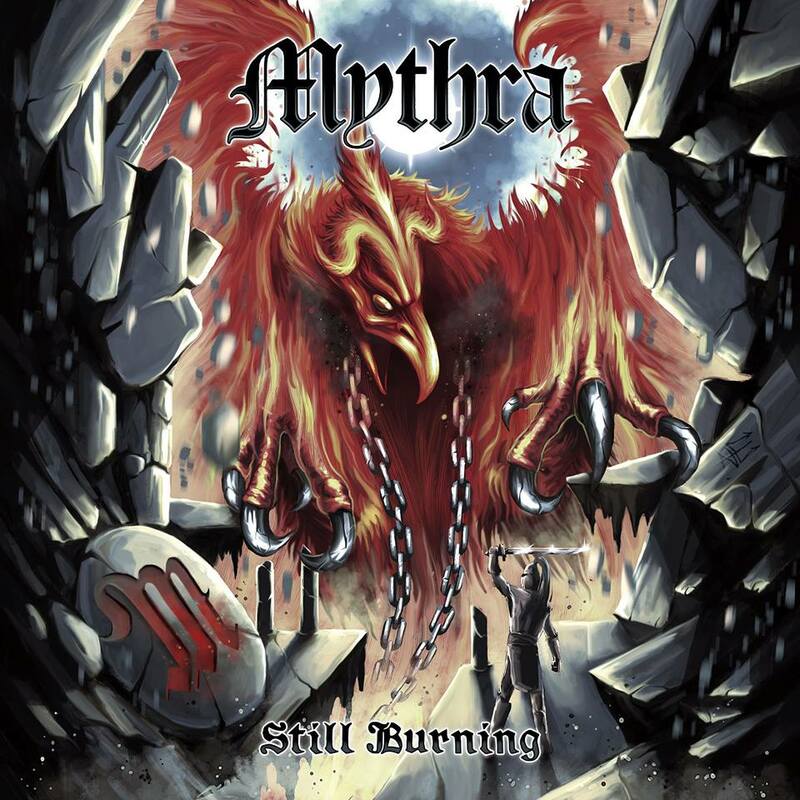 With two songs from their forthcoming album, Still Burning, making their way to Soundcloud, cult NWOBHM progenitors Mythra are building up quite the head of steam as their first album in 14 years fast approaches! Set for release on April 28, 2017 – via High Roller Records – NWOBHM collectors will already be salivating over what treasures Still Burning holds and first impressions are more than just positive…. The title track from their forthcoming album, Mythra’s “Still Burning” is a fiery slab of old-school NWOBHM through and through. Fast-paced and laced with melody, the red-hot riffs of John Roach & Alex Perry recall the earlier days of Priest and this locomotive of a track drags the familiar sound of early 80’s metal into the present. The flame is very much still burning at the very heart of these veteran performers and this track proves it. Upping the melody 100%, “A Call To All” may be the slightly weaker track but it’s classic NWOBHM sound – melded to the instant hooks of Cheap Trick – certainly raises a smile and may very well be the chirpiest damn hard rock track we’ve heard in an age. We are truly in a golden age of NWOBHM and while the term (and the genre, if we’re truthful) may be a relic of the past, those bands that changed the very face of metal as we knew it back in the late 70’s/early 80’s are still going strong and still burning bright! DIAMOND HEAD Announce Nov/Dec UK & Ireland Tour Dates! Brace yourselves UK and Ireland, they're still evil! NWOBHM Legends SATAN Sign To Metal Blade Records!